Universal accessibility involves designing openings and spaces so that they can be used by the widest range of people possible. 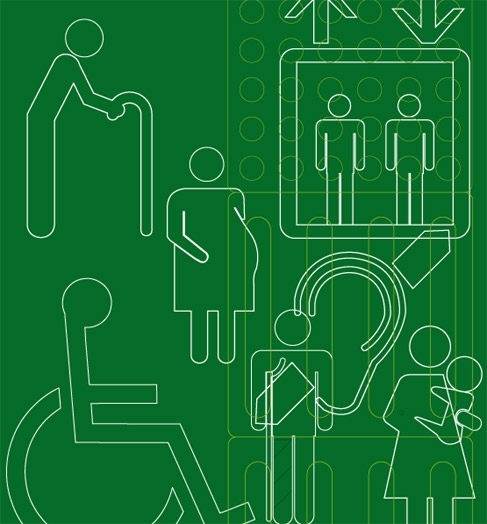 Universal design evolved from accessible design, a design process that addresses the needs of people with disabilities. Everyone, even the most able-bodied person, passes through childhood, periods of temporary illness, injury and old age. By designing for this human diversity, we aim to create openings that will be easier for ALL people to use. jpw systems provides consulting, sales, installation and service by AAADM (American Association of Automatic Door Manufacturers) certified staff. This includes automatic swing doors, bi-fold, sliding and revolving doors. We specialize in the integration of electrified fire safety and security devices at automatic openings and ensure the openings work intuitively while meeting building code requirements.